SWITZERLAND, Zurich — As Iranian war ships sail into American waters, an unprovoked assault on theU.S. Naval Station Guantanamo Bay and an attack on the decommissioned USS Forrestal aircraft carrier being curiously towed through the Caribbean now appears imminent. 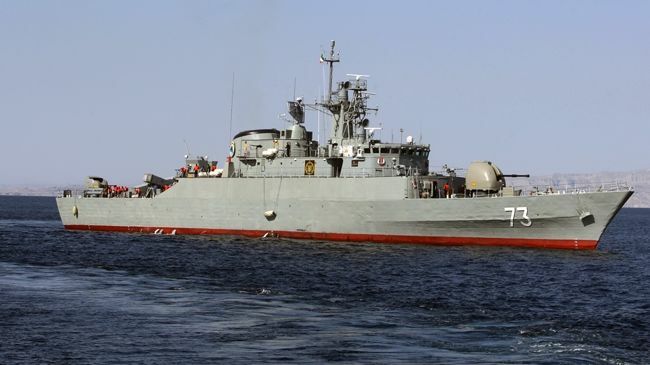 The Iranian ships entitled the Sabalan and the Kharak reportedly set sail for America on January 21, 2014, and were slated to play a key role in the Iranian suitcase nuke attack on New York City during Super Bowl XLVIII on February 2, 2014. However, since the nuclear terror plot was ultimately foiled, it now appears that international intelligence agencies have devised an Iranian attack on U.S. Naval Station Guantanamo Bay, a blatant redux of the 2013 Guantanamo terror plot depicted in April 4, 2013 Truther.org report entitled “Operation Northwoods 2.0 Authorized By Obama”. Aside from the so-called “message” Iran is sending with its ships, on February 1, 2014, Iranian General Hossein Salami stated in a televised interview that “We have recognized America’s military strategy, and have arranged our abilities, and have identified centers in America [for attack] that will create a shock.” Evidently, New York City, the USS Forrestal, and U.S. Naval Station Guantanamo Bay are on the list of shocking Iranian military targets. In what appears to be programming for an Iranian assault on Guantanamo Bay, it was reported on February 7, 2014, the U.S. Treasury officially declared that Iran is helping Al-Qaeda. This is a laughable notion considering that 90% of Iran subscribes to the Shi’a branch of Islam which Al-Qaeda is implacably opposed to. Regardless, the endgame of an Iranian attack on Guantanamo Bay is to create a prison break whereby the Al Qaeda terror detainees can ultimately escape Cuba and infiltrate America in order to conduct a wave of unprecedented terror. The August 27, 2013, Truther.org report entitled, “Guantanamo Bay Prison Break: False-Flag Terror Threat Assessment”, listed 5 specific ways that a prison break of Guantanamo Bay terror detainees could be achieved: a) terrorists spring detainees; b) an inside job; c) a prison riot; d) prison transfer attacks; and e) a natural disaster. Since a full-scale naval assault by Iran was clearly not listed, it would appear that this particular type Guantanamo prison break is currently being planned. 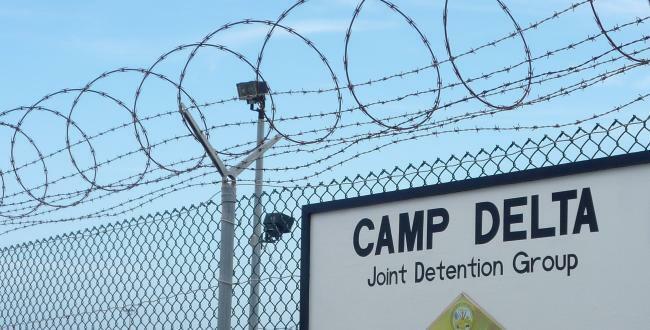 During his State of the Union speech on January 28, 2014, President Obama stated that, “this needs to be the year Congress lifts the remaining restrictions on detainee transfers and we close the prison at Guantanamo Bay“. The obvious question in respect to Obama’s Guantanamo statement is, “Why now?”. Back on June 24, 2007, presidential hopeful Obama told a crowd, “We’re going to close Guantanamo. And we’re going to restore habeas corpus”. However, 7 years later, Obama has not lifted a finger to close Guantanamo. It appears that he only highlighted it in his latest speech to draw as much public attention to Guantanamo just prior to an ranian attack on it.